Sleep apnea, obstructive sleep apnea, obstruction of the airway during sleep, causing lack of sufficient deep sleep, often accompanied by snoring. Other forms of sleep apnea are less common. When air is blocked from entering into the lungs, the individual unconsciously gasps for air and sleep is disturbed. Stops of breathing of at least ten seconds, 30 times within seven hours of sleep, classifies as apnea. Other forms of sleep apnea include central sleep apnea and sleep-related hypoventilation. Dyssomnias - A broad category of sleep disorders characterized by either hypersomnia or insomnia. The three major subcategories include intrinsic (i.e., arising from within the body), extrinsic (secondary to environmental conditions or various pathologic conditions), and disturbances of circadian rhythm. Parasomnias - A category of sleep disorders that involve abnormal and unnatural movements, behaviors, emotions, perceptions, and dreams in connection with sleep. Sleeping sickness - a parasitic disease which can be transmitted by the Tsetse fly. In the UK, knowledge of sleep medicine and possibilities for diagnosis and treatment seem to lag. Guardian.co.uk quotes the director of the Imperial College Healthcare Sleep Centre: "One problem is that there has been relatively little training in sleep medicine in this country – certainly there is no structured training for sleep physicians." The Imperial College Healthcare site shows attention to obstructive sleep apnea syndrome (OSA) and very few other sleep disorders. ↑ American Academy of Sleep Medicine (2001). The International Classification of Sleep Disorders, Revised (ICSD-R) (PDF). ISBN 0-9657220-1-5. ↑ Arnulf, Isabelle; Rico, Thomas; Mignot, Emmanuel (2012). "Diagnosis, Disease Course, and Management of Patients with Kleine-Levin Syndrome". The Lancet Neurology. 11 (10): 918–28. doi:10.1016/S1474-4422(12)70187-4. PMID 22995695. ↑ Hockenbury, Don H. Hockenbury, Sandra E. (2010). Discovering psychology (5th ed.). New York, NY: Worth Publishers. p. 157. ISBN 978-1-4292-1650-0. ↑ "REM Sleep Behavior Disorder". Mayo Clinic. Retrieved 27 July 2016. ↑ Mandell, Robert. "Snoring: A Precursor to Medical Issues" (PDF). Stop Snoring Device. Retrieved 27 July 2016. ↑ National Institute of Neurological Disorders and Stroke (June 27, 2011). "NINDS Narcolepsy". 1 2 Voderholzer, Ulrich; Guilleminault, Christian (2012). "Sleep disorders". Neurobiology of Psychiatric Disorders. Handbook of Clinical Neurology. 106. pp. 527–40. doi:10.1016/B978-0-444-52002-9.00031-0. ISBN 978-0-444-52002-9. PMID 22608642. ↑ Thorpy, Michael J. "PARASOMNIACS." The International Classification of Sleep Disorders: Diagnostic and Coding Manual. Rochester: American Sleep Disorders Association, 1990. Print. ↑ Kajeepeta, Sandhya; Gelaye, Bizu; Jackson, Chandra L.; Williams, Michelle A. (2015-03-01). "Adverse childhood experiences are associated with adult sleep disorders: a systematic review". Sleep Medicine. 16 (3): 320–330. doi:10.1016/j.sleep.2014.12.013. ISSN 1878-5506. PMC 4635027 . PMID 25777485. ↑ Author, UTHSCSA Dental School CATs. "UTCAT2395, Found CAT view, CRITICALLY APPRAISED TOPICs". cats.uthscsa.edu. Retrieved 2016-03-08. ↑ Schenck, Carlos H. (2013-11-01). "Family history of REM sleep behaviour disorder more common in individuals affected by the disorder than among unaffected individuals". Evidence Based Mental Health. 16 (4): 114–114. doi:10.1136/eb-2013-101479. ISSN 1468-960X. PMID 23970760. ↑ Ivanenko A, Massey C (October 1, 2006). 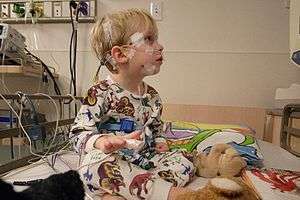 "Assessment and Management of Sleep Disorders in Children". Psychiatric Times. 23 (11). ↑ Keckeis, Marietta; Lattova, Zuzana; Maurovich-Horvat, Eszter; Beitinger, Pierre A.; Birkmann, Steffen; Lauer, Christoph J.; Wetter, Thomas C.; Wilde-Frenz, Johanna; Pollmächer, Thomas (2010). Finkelstein, David, ed. "Impaired Glucose Tolerance in Sleep Disorders". PLoS ONE. 5 (3): e9444. doi:10.1371/journal.pone.0009444. PMC 2830474 . PMID 20209158. 1 2 Cheuk, Daniel KL; Yeung, Wing-Fai; Chung, Kf; Wong, Virginia (2012-09-12). "Acupuncture for insomnia". The Cochrane Library. John Wiley & Sons, Ltd. doi:10.1002/14651858.cd005472.pub3. ISSN 1465-1858. ↑ Stradling, J; Roberts, D; Wilson, A; Lovelock, F (1998). "Controlled trial of hypnotherapy for weight loss in patients with obstructive sleep apnoea". International Journal of Obesity. 22 (3): 278–81. doi:10.1038/sj.ijo.0800578. PMID 9539198. ↑ Ng, Beng-Yeong; Lee, Tih-Shih (2008). "Hypnotherapy for Sleep Disorders" (PDF). Annals of the Academy of Medicine, Singapore. 37 (8): 683–8. PMID 18797562. ↑ Graci, Gina M.; Hardie, John C. (2007). "Evidenced-Based Hypnotherapy for the Management of Sleep Disorders". International Journal of Clinical and Experimental Hypnosis. 55 (3): 288–302. doi:10.1080/00207140701338662. PMID 17558719. ↑ Hauri, PJ; Silber, MH; Boeve, BF (2007). "The treatment of parasomnias with hypnosis: A 5-year follow-up study". Journal of Clinical Sleep Medicine. 3 (4): 369–73. PMC 1978312 . PMID 17694725. 1 2 Hurwitz, Thomas D.; Mahowald, Mark W.; Schenck, Carlos H.; Schluter, Janet; Bundlie, Scott R. (April 1991). "A retrospective outcome study and review of hypnosis as treatment of adults with sleepwalking and sleep terror". Journal of Nervous & Mental Disease. 179 (4): 181–241. ↑ Owens, Laurence J; France, Karyn G; Wiggs, Luci (1999). "REVIEW ARTICLE: Behavioural and cognitive-behavioural interventions for sleep disorders in infants and children: A review". Sleep Medicine Reviews. 3 (4): 281–302. doi:10.1053/smrv.1999.0082. PMID 12531150. ↑ Wang, CF (2013-04-24). "Music therapy improves sleep quality in acute and chronic sleep disorders: a meta-analysis of 10 randomized studies". Centre for Reviews and Dissemination. doi:10.1016/j.ijnurstu.2013.03.008. PMID 23582682. Retrieved 2016-03-08. ↑ Jespersen, Kira V; Koenig, Julian; Jennum, Poul; Vuust, Peter. Music for insomnia in adults. doi:10.1002/14651858.cd010459.pub2. ↑ Ferracioli-Oda, E (2013-06-06). "Meta-analysis: melatonin for the treatment of primary sleep disorders". Centre for Reviews and Dissemination. Retrieved 2016-03-08. ↑ "Meta-analysis: melatonin for the treatment of primary sleep disorders". www.crd.york.ac.uk. Retrieved 2016-03-08. ↑ "American Board of Medical Specialties : Recognized Physician Specialty and Subspecialty Certificates". Retrieved 2008-07-21. ↑ Mahowald, Mark (2000). "What is causing excessive daytime sleepiness? Evaluation to distinguish sleep deprivation from sleep disorders". Postgraduate Medicine. 107 (3): 108–10, 115–8, 123. doi:10.3810/pgm.2000.03.932. PMID 10728139. ↑ "Sleep Disorder". sleepassociation. Retrieved 18 February 2016. ↑ "About AADSM". Academy of Dental Sleep Medicine. 2008. Retrieved 2008-07-22. ↑ "About the ADBSM". American Board of Dental Sleep Medicine. Retrieved 2008-07-22. ↑ Wollenberg, Anne (July 28, 2008). "Time to wake up to sleep disorders". Guardian News and Media Limited. Retrieved 2008-08-03. ↑ "Sleep services". Imperial College Healthcare NHS Trust. 2008. Retrieved 2008-08-02.